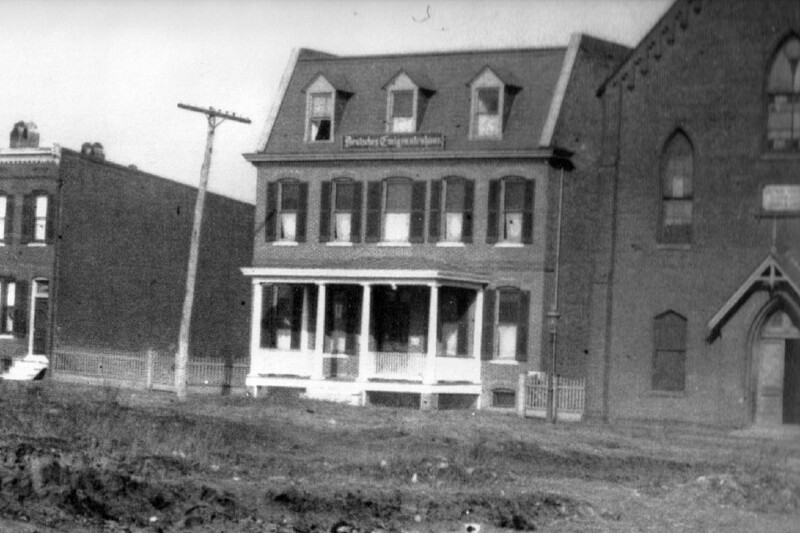 Baltimore’s Locust Point was a rapidly growing neighborhood between the Civil War and 1920. One major factor in the neighborhood’s growth was an immigration pier and depot built in 1867 by the B&O Railroad and the North German Lloyd Shipping Company. Over 1.2 million immigrants landed at the pier between 1868 and 1914, making Baltimore the third largest port of entry in the U.S. at the time (after New York and Boston). B&O extended their railroad tracks up to the pier for the many travellers who purchased a combination ship and rail passage. Most of the earliest immigrants came from Germany but, by the 1890s, a larger number of people came from the Russian and Austrian Empires. Seeing the ever growing number of immigrants, the local German United Evangelical Christ Church decided in 1904 to build a mission house, known as Immigrant House. The mission offered immigrants room and board, clothing, help in finding work, English lessons, and religious ministry. Sailors from the North German Lloyd ships could also stay there when their ships were in port. By 1916, the pastor reported that 3,710 people had stayed at the mission since it opened 12 years earlier. 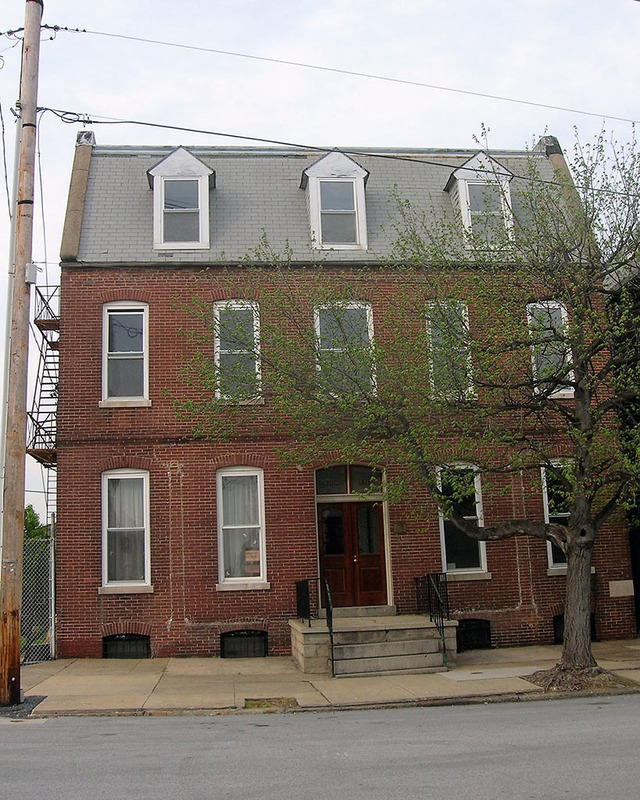 While “The Great Wave of Immigration” from Europe ended in Baltimore with the outbreak of the first World War, Immigrant House remained a boarding home for sailors until the 1930s and truck drivers until the 1950s. Since then, the building has been used for church offices, storage, daycare, and Sunday school. The original boarding rooms on the second and third floors remained unoccupied and unchanged, though in deteriorating condition. Baltimore City designated both the church and Immigrant House as local landmarks in 2006. The Baltimore Immigration Memorial, Inc. (BIM), formerly the Baltimore Immigration Project, was established to preserve and publicize the history of the 1.2 million immigrants who came here. In 2006, this group led the effort to design and install a sculpture garden, Liberty Garden, at the end of Hull Street on the grounds of what is now the property of Under Armour. The immigrants had disembarked at Piers 8 and 9, which were once located nearby. 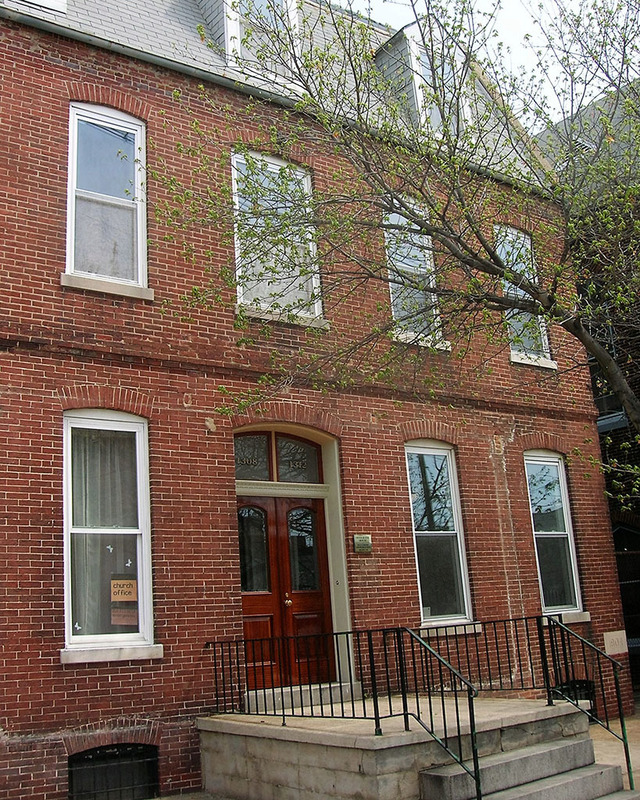 BIM and the Locust Point Community UCC have since worked together for the creation of the Baltimore Immigration Museum on the ground floor of Immigrant House on Beason Street, not far from the Liberty Garden. The museum’s initial exhibit tells the story of global immigration in the nineteenth century, with an emphasis on the U.S. and Baltimore between 1830 and 1914. 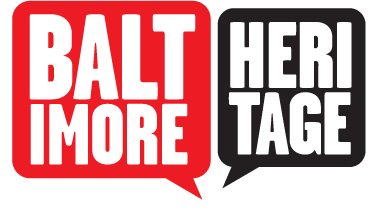 The stories of Baltimore’s major immigrant groups are told, as well as the story of anti-immigrant movements of the past. Future projects at the Baltimore Immigration Museum will focus on migration and immigration since 1914, including the history of the migration of African Americans to Baltimore from 1914 to 1970, as well as the “new” immigrants, both Latino and Asian, who have arrived in Baltimore since the liberalization of U.S. immigration laws in 1965. Brigitte V. Fessenden, “Locust Point Immigrant House,” Explore Baltimore Heritage, accessed April 19, 2019, https://explore.baltimoreheritage.org/items/show/559. Published on Sep 17, 2016. Last updated on Nov 27, 2018.